The Utah Transit Authority (UTA) is one of those agencies that sometimes struggles to get customer feedback via traditional methods. They recently held seven public hearings on their fare increase proposal, with 12 people showing up at the most well-attended of these while, at others, sometimes only one person was in attendance or, none at all. In the midst of these meetings in February, the UTA held what is thought to be the first public meeting using the social networking tool Twitter to discuss the fare plan. During the event, UTA GM Michael Allegra presided over a team of fare collection department staffers who answered nearly 100 questions, ranging from the fare proposal to electronic fare collection and service during the hour-long chat. An estimated 50 people tweeted 247 comments, which were recorded and entered as part of the official public record on the UTA’s current fare proposal. The event generated a lot of interest, not only from the local community, but from around the world. People from as far away as London and Australia “listened” in, according to Tauni Everitt, UTA’s public relations officer. Once the chat concluded, the UTA asked participants for their feedback regarding the nature of the event and received all positive responses. Comments ranged from, ‘Great chat, thanks for answering all my questions,’ to ‘I found it incredibly helpful,’ Everitt said. Because of the initial Twitter chat’s success, the agency held a second chat in March to discuss another hefty topic — proposed service cuts. You’ve got to hand it to UTA, for jumping into the pool first. By doing so, they have opened the door to the Twitter arena that much wider for other transit systems to reach out to their customers. Do you think this signals the end of the traditional public meeting for public transit, or will use of social networking tools such as Twitter be an additional way to communicate? 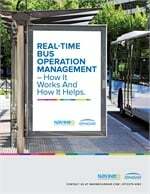 Read our METRO blog, "Bus operations: A 'cradle to grave' philosophy," here.